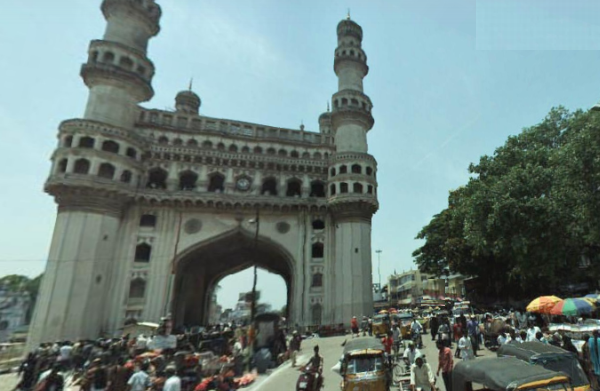 Hyderabad may be become the city in India to be entirely covered by Google Street View after the Internet services giant Google gets permission from the union home ministry. The company agreed to a request made by Telangana government in this regard, said a statement by the state government here on Tuesday. Telangana Information Technology Minister K. Tarakarama Rao, who is currently on a visit to the US, held talks with Google Street View team including Manik Gupta, director of product management and Narayana Tummala, ground truth engineering lead for Google. Street View lets one explore places around the world through 360-degree, panoramic and street-level imagery. While it has been extensively used in US, Canada and many European countries, its applications in India have been limited so far. Google has launched Street View in some of the tourist sites like Taj Mahal, and Qutub Minar in partnership with the Archaeological Society of India. Google is in talks with the union home ministry to get their permissions for conducting the Street View exercise at a city wide level. This permission is expected to be given shortly. "Upon the request made by the minister, Google has agreed to make Telangana the first state which will get Street View for one complete city namely Hyderabad to begin with, with subsequent extension to other major cities and towns," said the statement. Google has also agreed to support specific requests made by the minister to utilize Street View for monitoring of deviations from approved building plans, property tax collection, and mapping of industrial land bank located in different parts of the state. The delegation led by the minister explained the Google team about the water grid project and how the same duct lines are going to be utilized to provide fiber optic cables to every household. Google has embarked on a similar project called Google Fiber, which has been piloted in eight cities in the US. It has agreed to study the Telangana model in detail through their country team in India and explore the possibility of contributing to this project, the statement added.